Our top-rated Michigan car accident lawyers can help you if you were injured in an auto accident today or any time in the past. Choosing the best attorney for your case after a car accident in Michigan is your most important decision. It is the difference between winning a great settlement and receiving no settlement at all. Buckfire & Buckfire, P.C. is the smart choice for your case. Since 1969, our award-winning lawyers have represented accident injury victims with the highest degree of integrity and compassion. We have the experience, knowledge, and skill to win your case. We settle more than 97% of our car accident cases for the maximum amount of compensation before ever going to court. We will do the same for you. Do I Need To File A Police Report After An Accident? Michigan law requires drivers to report any accident involving a motor vehicle that causes more than $1,000 in property damage, results in death or injury, or damages an unattended vehicle or other property. The accident must be reported but the driver may not be required to file a written report. However, many insurance policies require a written report be filed within 24 hours of an accident in order to qualify for insurance benefits. Video: What Is Michigan No-Fault Insurance? Michigan is a no-fault insurance state, which means every automobile is required by law to be covered by a no-fault insurance policy. This insurance provides coverage and valuable benefits to almost every person injured in an auto accident. Almost every person injured in a Michigan car accident, motorcycle accident, truck accident, bicycle accident, or pedestrian accident is entitled to Michigan No-Fault insurance benefits, regardless of who was at fault for the accident. You may be entitled to these benefits, even if you did not own a car or have your own auto no-fault insurance policy. You should contact your insurance company immediately after an auto accident to report any damage to the vehicle or personal injury claim. You will want an adjuster to assess the damage to your vehicle and to assist you in arranging repairs. If you were injured, you will need to file an Application for No-Fault Insurance Benefits with your own insurer. It is important to report all claims quickly so that the insurance company does not try to deny your claims later on because they were not reported in a timely manner. What Is The First Thing To Do With My Insurance Company? The first thing to do with your insurance company after a car accident is to call your insurance agent to report the accident. Many insurance policies require that you file a written police report and notify the insurance company within twenty-four hours of the accident. If you fail to do these things, you may lose your rights to very important benefits. Your agent will tell you more about your coverage, including your property damage deductible amount and if you have car rental coverage. The agent will also arrange for a repair estimate and may even recommend a body shop to fix your damaged vehicle. If you were injured in a Michigan accident, you are required to file an Application for No-Fault insurance benefits. This form preserves your right to payment of medical expenses, lost wages, and other benefits from the insurance company. Our lawyers will help you with this process from start to finish and send the forms directly to the insurance adjuster for you. We will also follow up with the adjuster to make sure all of the bills get paid. Should I Talk To The Insurance Adjuster After My Car Accident? You should be very careful speaking to an insurance adjuster after your car accident. Adjusters are trained to interrogate you and get information to destroy your claim. They often record phone calls without your knowledge and then use those recordings to deny your benefits. Some insurance adjusters can be helpful after an accident and it is okay to speak to them. This includes the property damage adjuster for car repairs and the no-fault insurance adjuster assisting you with your claims for medical bills and lost wages. If you fail to cooperate with them, it can delay you receiving payments under your policy. However, you should never speak with the insurance adjuster for the driver that caused the accident. Those adjusters are looking for ways to avoid paying you a settlement. You may accidentally say something that will ruin your case. An adjuster may even offer you a personal injury settlement, but be cautious because they will never offer you fair compensation and will rarely every tell you the actual amount of insurance coverage available to pay your settlement. Also, you should never sign any papers without having a lawyer review them first. You may be signing away your rights to important benefits forever. Michigan has the mini-tort law that determines who is responsible for paying the property damage to vehicle involved in an accident. This is determined by the type of collision coverage on your vehicle and who was at fault for causing the accident. In most cases, the driver that caused damage to your vehicle is responsible for only paying a maximum of up to $ 1,000.00 to you for a property damage claim. If your vehicle was hit by another car while it was parked and unoccupied, then you are not limited to the $ 1,000.00 maximum. The Michigan Department of Insurance and Financial Services provides an excellent guide explaining the mini-tort system. Many times, your own property damage adjuster will help you get paid your mini-tort money from the other driver's insurance company. If there is no voluntary payment, you can sue the other driver in small claims court. Yes. You can sue the driver that caused the accident for your personal injuries suffered in the collision. A driver who violates the traffic safety laws is deemed to be fault for the crash and legally liable for your injuries. Many times, the police do not actually witness the accident and issue a ticket to the wrong driver. We can help you overcome this issue through our investigators interviewing other eyewitnesses, inspecting the damage to the vehicles, and by performing a more detailed investigation than the officer. You can also sue the owner of the vehicle driven by the at fault driver. Many times, the driver is not the owner of the vehicle and there may be multiple insurance policies available that add up to a much higher settlement. If the vehicle was owned by a business or corporation, there may be a large commercial policy to pay your settlement. When you sue the at-fault driver and owner of the vehicle for personal injury compensation, you can claim money damages for your pain and suffering, psychological damages, disability, and scars caused by the accident. These settlements are completely separate from your Michigan No-Fault Insurance benefits, so most injured accident victims get all of their medical bills and lost wages paid in addition to receiving a large personal injury settlement. Can An Injured Passenger Sue the Driver for An Auto Accident? Yes. Injured passengers can sue all drivers that were negligent in causing the accident. This includes the driver of the vehicle that the passenger was riding in at the time of the crash and all other vehicles responsible for causing the crash. Many times, the injured passenger is a relative, co-worker, or friend of the negligent driver. In passenger injury cases, the claim is made by the passenger against all at-fault drivers. There may be multiple drivers that were negligenct and caused the passenger's injury and all of them are legally responsible for the injuries. Claims are often filed by one spouse versus another spouse, a child versus a parent, and friend versus a friend. The insurance policy provides for coverage to any innocent person harmed by the negligent driver and an injured person should still pursue a claim even if it is against a family member or friend. An injured passenger should not feel any apprehension or personal guilt about filing a claim against a family member or friend. The claims are made against the insurance company and will not have a negative effect on the at-fault driver. Passenger injury claims often result in significant money settlements and should be pursued by the injured passenger. What Is The Minimum Coverage For Auto Insurance In Michigan? The minimum liability coverage in Michigan for auto insurance is $20,000.00 per person and $ 40,000 per accident if there were multiple people injured in the accident. Most drivers have insurance policy limits higher than the minimum amount required under Michigan law. You need an experienced lawyer to investigate all possible insurance policies that might be available to pay you a settlement. Do not expect the other driver's insurance adjuster to tell you the actual amount of the insurance policy limits. Adjusters will often conceal that amount from you to entice you to accept a low settlement offer. There may be several insurance policies that can be added together to provide more coverage and a higher settlement, but you may never know about them and your settlement may be much lower than could have received if you knew of all of the available policies. Many injury victims also have uninsured motorists coverage and underinsured motorists coverage that allow them to receive more money if the negligent driver had only the minimum policy limits. Our attorneys will review all possible insurance policies to determine which coverages exist in order to get you the best possible settlement. There are close to 300,000 auto accidents in Michigan every year. Many of these result in serious injuries and death. Over 800 people died in fatal car accidents in Michigan in 2014. Almost 5,000 accident victims suffered incapacitating injuries that required hospitalization and prevented them from work and normal activities. Death in a fatal auto accident giving rist to a a Michigan Wrongful Death claim on behalf of the family. How Much Can I Get For Pain And Suffering Damages? The amount of pain and suffering damages is determined by a number of factors including: the seriousness of your injuries, the type and length of medical treatment, and how the injuries have affected your ability to lead a normal life. Other factors include the insurance policy limits, whether there was an excess loss of income, and the permanency of your injuries. Our attorneys will evaluate the impact that the accident has had on your life and work hard to get you the highest possible pain and suffering settlement. You do not need a lawyer to settle your own car accident claim, but you should be aware of many serious mistakes that you can make without an experienced attorney on your side. First, the insurance adjuster may not disclose all of the potential insurance policies or limits that might apply to your claim. You may also not know the real value of your case and this could result in you settling for substantially less money than you could receive otherwise. Also, there are potential liens that you might be responsible for paying back out of your settlement that you do not know about but will have to pay back at a later date. Finally, you could be jeopardizing your no-fault insurance benefits by signing a Release when you settle your liability claim. This could have devastating consequences. Insurance studies have shown that injury victims actually receive substantially larger settlements when they hire a lawyer for their case, even after paying the attorney fees. This is because insurance companies know that they cannot get "low ball" settlements with experienced attorneys who know and understand the value of an injury. One study showed that majority of accident victims who hired a lawyer believed that they received a much greater settlement than if they tried to settle their own case. If your motor vehicle accident was today or at anytime in the past, it is smart to call an experienced car accident lawyer now. It is important to have a lawyer begin an investigation as soon as possible after the crash. This is necessary to locate and interview eyewitnesses, photograph and examine the vehicle, and to take pictures of the area of the accident. As time goes on, it can be difficult to find witnesses that can help your case and evidence can disappear, like surveillance video on nearby buildings and businesses. There are strict time deadlines for filing insurance and personal injury claims. If you miss a deadline, your case can be destroyed forever. A delay can cause you to give up your rights to a settlement in the future. Your insurance company might also be underpaying your no-fault benefits and you may not even know. If you are unsure about hiring a lawyer, you can call us to just learn more about your rights and the important time deadlines. There is absolutely no cost or obligation to speak with one of our experienced attorneys. There is no calculator or written schedule to determine the proper settlement amount for an auto accident case. You may come across some methods on other lawyer websites to estimate your settlement, but these are outdated and no longer used by law firms or insurance adjusters. Additionally, those formulas were never used for Michigan accidents because of our unique No-Fault insurance system. Factors used to determine the amount of a settlement include the seriousness and permanency of the injuries and the effect of the injuries on the injured person's life. Other factors include the type of length of medical treatment, the amount of lost income, and the insurance policy coverage available for the accident, such as the policy limits for the negligent driver and whether other types of coverage, like uninsured motorist or underinsured motorist coverage existed at the time of the accident. Our accident injury attorneys rely on our significant skill and experience to win our clients the highest possible settlements. We settle 97% of our cases for the maximum amount before ever going to court. Insurance companies and their lawyers know our reputation for winning cases at trial and expect to pay our clients higher settlements than they pay to other law firms. This is one reason why we routinely get our clients higher settlements than most Michigan law firms. How Much Are Michigan Car Accident Settlements? $ 7,520,000 car accident settlement for an MSU scientist that suffered serious injuries from being hit by an MSU delivery truck. $ 7,000,000 fatal car accident settlement. A passenger was killed in an Oakland County car accident due to the negligence of the at-fault driver. $ 6,872,931 jury verdict. A passenger was injured in a Dearborn car accident when it was rear ended by another vehicle. The passenger suffered post-concussive syndrome, rotator cuff tears, and a cervical disc herniation which required surgery. $ 5,300,000 settlement for a passenger in a commercial vehicle. He sufferd a brain injury and spinal cord injury when the driver of his vehicle fell asleep at the wheel of the vehicle. $ 5,000,000 auto negligence settlement. A passenger was injured in an Interstate 475 collision when a semi-truck drove through the median and struck the passenger head-on. The passenger suffered from major orthopedic, brain, and internal injuries. $ 2,839,000 jury verdict in Washtenaw County for a moped driver who was injured due to an AT&T wire that was not properly fixed across the roadway and snagged the driver at his throat while riding in a public street. $ 2,325,000 auto crash jury verdict. Two passengers were injured in a car accident when a propane trailer struck their vehicle. The passengers suffered from traumatic brain injury, foot fractures, and pelvic fractures requiring a hip replacement. $ 1,750,000 settlement in an auto accident lawsuit. A passenger was injured when the driver of a pickup truck ran a stop sign and turned left into oncoming traffic. The passenger suffered from a fractured spine and ribs. $ 1,500,000 third-party Macomb County auto accident settlementThe passenger suffered extensive injuries and long-term disability. $ 1,000,000 auto injuury settlement. A truck driver was injured in a T-bone auto accident by another driver and suffered permanently disabling injuries, including a disc herniation which required surgery. The length of time that it takes to get paid a car accident settlement is different in every case. Some cases settle quickly because the injuries are substantial and the insurance policy limit is low, so the adjuster will pay the entire policy right away. However, most cases can take up to a year or more after the accident to get a settlement check because the victim is still recovering and the future effect of the injuries is unknown. Beware of lawyers promising quick settlements. How Long Does It Take To Get A Settlement Check After A Case Is Settled? In most cases, you should receive your settlement check within thirty days of signing the Settlement Release Agreement and sending it back to the insurance adjuster or defense attorney. Cases involving minor children or wrongful death may take slightly longer because a court hearing must be held to have the settlement approved by the judge. It does not cost anything to hire our car accident lawyers. We do not charge any fees to start your case and only get paid when you receive your settlement check. This is called a contingency fee agreement. Under this arrangement, we also pay all of the case expenses for you and get a percentage of the settlement at the very end of the case when your check is received. The laws in Michigan set the maxiumum car accident contigency fee at 33.33% of the net settlement. Be cautious of law firms that send you mail solicitations offering to handle your case at a lower percentage because many of these firms will not help you with your no-fault insurance claims and are just looking to make a fee on a quick settlement. How Much Time Do I Have To Sue Someone After A Car Accident? Under Michigan law, the time limit to sue someone for personal injuries from an auto accident is three years from the date of the accident. This is known as the "Statute of Limitations." The period may be extended longer if the injured person was a minor at the time of the crash. Certain claims for uninsured motorists benefits and underinsured motorists benefits must filed even before the three year period. Claims for first party no-fault insurance benefits, or PIP benefits, have different time deadlines that are much shorter than the three year period for negligence claims. Lawsuits for medical bills, lost wages, and other benefits must be filed within one year of the date the bill was incurred or became payable. There are no exceptions to this rule. It is important to contact our attorneys as soon as possible after the accident to avoid missing a deadline that can destroy your case. The deadlines are very unforgiving and the attorneys for the insurance companies will demand that the court dimiss all claims that are filed late or outside of the statute of limitations. • There were 312,172 crashes in 2016, of which 980 (0.3 percent) were fatal, 57,964 (18.6 percent) were personal injury, and 253,228 (81.1 percent) were property damages only. • Compared to 2015, this represents a 5.1 percent increase in total crashes, an increase of 9.7 percent in fatal crashes, a 7.3 percent increase in personal injury crashes, and a 4.6 percent increase in property damage crashes. • A total of 1,064 people were killed as a result of the 980 fatal crashes for an average of 1.1 deaths per fatal crash in 2016. • One out of every 9,331 people in Michigan was killed in a traffic crash in 2016. One out of every 125 people was injured. • For each person killed, 74.9 people were injured in crashes in 2016. • There were 5,634 people who received suspected serious injuries in 2016, which prevent normal activities and require hospitalization. 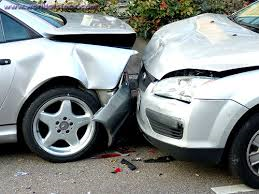 • A total of 538,412 motor vehicles were involved in 312,172 reported crashes in 2016. • Of the 1,064 traffic crash deaths, 658 (61.8 percent) were drivers of vehicles, 2013 (19.1 percent) were passengers in motor vehicles, 165 (15.5 percent) were pedestrians, and 38 (3.6 percent) were bicyclists. • Of the 683 drivers and passengers killed where seat belt data was collected, 206 (30.2 percent) were not wearing seat belts and 364 (53.3 percent) were wearing seat belts. It is unknown whether 113 (16.5 percent) of the fatalities were belted. • There were 522 deaths that resulted from 494 single-vehicle fatal crashes in 2016. • More male drivers were involved in crashes than female drivers. Of the 275,382 male drivers involved in crashes, 1,059 (0.4 percent) were involved in fatal crashes. Of the 221,200 female drivers involved in crashes, 445 (0.2 percent) were involved in fatal crashes. • Of the 882 motor vehicle drivers involved in fatal crashes where a hazardous action occurred, excessive speed was reported by police as the hazardous action for 194 (22.0 percent) of the drivers. • Of the 980 fatal crashes in 2016, 300 (30.6 percent) occurred at intersections. • Most fatal crashes occurred on dry roadways (75.6 percent) and in clear weather conditions (62.1 percent) in 2016. • The most fatal crashes, 174 (17.8 percent), occurred on Saturday. • A traffic crash was reported every 1 minute and 41 seconds. I was always treated respectfully and was made to feel that my case was important.